TestingTools.com — The definitive list of software testing tools. Welcome to TestingTools.com, the definitive list of software testing tools. Whether you are looking for a test management tool, load testing software, a tool to help with your test automation efforts or anything else related to software quality, we've got you covered! 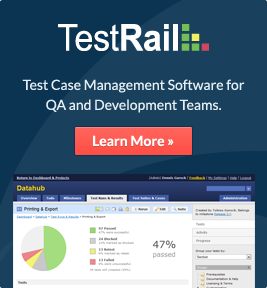 Looking for a new tool to improve your software quality efforts? See below for a selection of popular and well-known tools in various categories. Agile testing comes with many challenges, involves experimenting and trying new ideas. Get started with agile testing tools to help you improve the quality of your Agile, Scrum or XP projects and build better software faster. To ensure that your web application and website performs flawlessly even with a large number of visitors and users, load testing can be used to verify your application's performance and the capacity of your infrastructure. There are various tools and online resources to help you build tests for your mobile devices, record and run automated UI and unit tests for mobile apps and code libraries, as well as help you test responsive and fluid web interfaces. Automated software testing and related automated testing tools is becoming more and more import for teams in order to automatically verify key functionality, test for regressions and help teams run a large number of tests in a short period of time. Software development teams benefit from adapting a test management or test case management tool. Such tools helps software teams manage their testing efforts, record test results and generate reports to help optimize all testing activities and to provide useful feedback to developers and project leads. Usability testing is used to observe (usually first-time) users of your application or visitors of your website in order to improve the usability and user experience of your projects. This page lists some of the best resources available to help you get started with your own usability tests. The following books provide a good starting point to learn more about software testing, software quality in general and how to improve the quality and reliability of software projects.. Since the last publication of this international bestseller, software testing has seen a renaissance of renewed interest and technology. The biggest change comes in the growing prominence and acceptance of Agile Programming. Software Testing: A Craftsman’s Approach, Third Edition extends the combination of theory and practicality of the first two editions to include agile programming development and discusses the serious effect this emerging area is having on software testing. Successful software depends as much on scrupulous testing as it does on solid architecture or elegant code. But testing is not a routine process, it's a constant exploration of methods and an evolution of good ideas. Beautiful Testing offers 23 essays from 27 leading testers and developers that illustrate the qualities and techniques that make testing an art. Through personal anecdotes, you'll learn how each of these professionals developed beautiful ways of testing a wide range of products - valuable knowledge that you can apply to your own projects. A comprehensive, up-to-date and practical introduction to software test design. This book presents all the important test design techniques in a single place and in a consistent and easy-to-digest format. An immediately useful handbook for test engineers, developers, quality assurance professionals and requirements and systems analysts, it enables you to: choose the best test case design; find software defects in less time and with fewer resources; and develop optimal strategies that help reduce the likelihood of costly errors. It also assists you in estimating the effort, time and cost of good testing. The world's leading software testing experts lend you their wisdom and years of experience to help you avoid the most common mistakes in testing software. Each lesson is an assertion related to software testing, followed by an explanation or example that shows you the how, when, and why of the testing lesson. More than just tips, tricks, and pitfalls to avoid, Lessons Learned in Software Testing speeds you through the critical testing phase of the software development project without the extensive trial and error it normally takes to do so. Quite simply, test-driven development is meant to eliminate fear in application development. While some fear is healthy (often viewed as a conscience that tells programmers to "be careful! "), the author believes that byproducts of fear include tentative, grumpy, and uncommunicative programmers who are unable to absorb constructive criticism. Written by a consultant with 30 years of experience in the IT industry and over 12 years experience with performance testing, this easy-to-read book is illustrated with real-world examples and packed with practical advice. The Art of Application Performance Testing thoroughly explains the pitfalls of an inadequate testing strategy and offers you a robust, structured approach for ensuring that your applications perform well and scale effectively when the need arises. In Agile Testing, Crispin and Gregory define agile testing and illustrate the tester’s role with examples from real agile teams. They teach you how to use the agile testing quadrants to identify what testing is needed, who should do it, and what tools might help. The book chronicles an agile software development iteration from the viewpoint of a tester and explains the seven key success factors of agile testing. Managing the Test People was written for managers, leads, and people who may soon find themselves in a technical leadership position. It focuses on some of the unique problems in the software quality assurance profession, yet the bulk of the book is applicable to any technical management job. It provides practical advice for the novice and affirmation for the expert. It contains real world stories illustrating the concepts discussed in the text. In addition to the above mentioned books, there's a huge number of online resources related to software testing, quality assurance and software quality. We researched the best articles and online resources and please see the list of links below. The Software Testing Club is a global and professional community for software testers. The site started in 2007 and has become a leading online community of software testers. The team behind the Software Testing Club is also publishing other resources such as The Testing Planet and the Ministry of Testing. "Often under-estimated and not much considered by developers, testing is however one of the key elements of software engineering, and a fundamental pillar without which no software can be put on the market with appropriate quality. The goal of this article is to evangelize the major dimensions of software testing and share our experience of best practices." "This report lists 28 best practices that contribute to improved software testing. They are not necessarily related to software testing tools. Some may have associated tools but they are fundamentally practice. The collections represent practices that several experienced software organizations have gained from and recognize as key." In this article the authors Jose Vargas and Julio Córdoba share some of the lessons they learned about test management, software quality and collaboration of testers and developers during their career. It contains useful ideas and advice that can be used as a starting point for your own research. Any duplication or distribution of parts or as a whole of this content or design is forbidden without prior written approval of Gurock Software.